Kakheti is a historical province in Eastern Georgia. It is bordered by the small mountainous province of Tusheti and the Greater Caucasus mountain range to the north, Russian Federation to the Northeast, Azerbaijan to the Southeast, and the Georgian province of Kartli to the west. Kakheti is geographically divided into the Inner Kakheti to the east of Tsiv-Gombori mountain range and the Outer Kakheti to the west of it. The major river of the eastern part is Alazani, while that of the western part is the Iori. Kakheti is well known as homeland of Georgian wines. As it is considered, Alazani valley is cradle of wine making. There are 4 protected areas in Kakheti: Lagodekhi national park, Vashlovani national park, Tusheti national park and Batsari restricted area. In Khakheti are popular cultural tours, jeep tours in Vashlovani, hiking and horse tours in Lagodekhi, Pankisi and Tusheti and of course food and wine tours. Tusheti province is located on the north slopes of great Caucasus range. 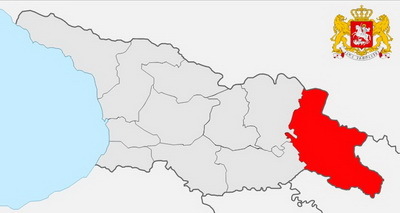 Tusheti is bordered by the republics of Chechnya and Dagestan to the north and east, respectively; and by the Georgian historic provinces Kakheti and Pshav-Khevsureti to the south and west, respectively. The population of the area is mainly ethnic Georgians called Tushs or Tushetians. Historically, Tusheti comprised four mountain communities of the Alazani Valley. These are Tsova, Gometzari, Chaghma and the Piriq’iti Tusheti (formerly known as Pharsman’s Tusheti). Included in the present day Akhmeta raioni, Kakheti region, Georgia, the area comprises ten villages with Omalo being the largest. The only road to Tusheti goes via Abano pass – 2926 meters above the sea level. Road is opened from end of June till beginning of October. Traditionally, the Tushs are sheep herders. Tushetian Gouda (cheese) cheese and high quality wool was famous and was exported to Europe and Russia. Even today sheep and cattle breeding is the leading branch of the economy of highland Tusheti. The local shepherds spend the summer months in the highland areas of Tusheti but live in the lowland villages of Zemo Alvani and Kvemo Alvani in wintertime. Their customs and traditions are similar to those of other eastern Georgian mountaineers. One of the most ecologically unspoiled regions in the Caucasus, Tusheti is a popular mountain-trekking venue. Pork is tabooed in Tusheti. Farmers will not raise pigs and travelers are usually advised to not bring any pork into the region. Locals will however eat pork themselves when not in Tusheti. All cities of Kakheti are easy to reach from Tbilisi by public transport, except Tusheti area and David Gareja complex. Highlander travel can organize transportation to any part of Kakheti. Find and book hotels in Kakheti.